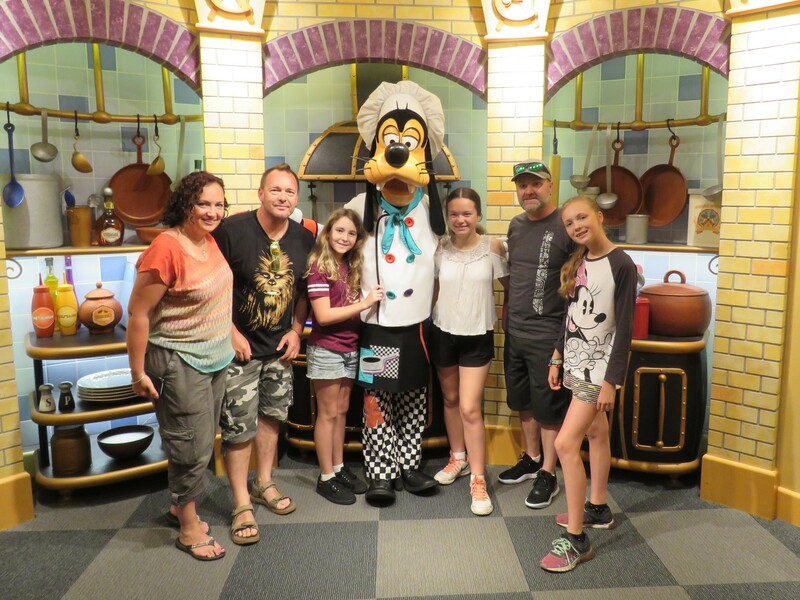 Having recently returned from the USA’s Disneyland Resort, California Adventure Park & Universal Studios theme parks, I’ve discovered lots of tips and tricks to keep the ‘fun’ in fun parks, so everyone can have an enjoyable day. Although theme parks are exciting and a lot of fun, the crowds, queuing up for long periods repeatedly, walking and standing around in the heat, dodging lots of prams and strollers and buying expensive snacks and souvenirs can easily remove the fun factor. Pre-purchase tickets online or prior to arrival, in advance. You may get discounted rates or season specials when buying them early. Plus, this will save you a lot of time when arriving at the theme parks, not having to queue up at ticket windows to buy them. Just bypass those ticket windows and head to the turnstiles to get some more fun time in. Disney offers ‘hopper passes’ which allows you to ‘hop’ or interchange between the Disneyland Resort theme park and California’s Adventure Park, on the same day if you choose too. This is a more expensive option than just buying one day’s ticket, per park, but you are paying more for the optional flexibility to do this. Buy lanyards with clear plastic pockets attached, for every person to wear around their necks, and put their theme park tickets and fast passes inside to protect them from getting damaged or lost, particularly if they are for multiple-entry days. Some of the theme park tickets and passes are as flimsy as a bus ticket, and tear or get damaged easily. But remember to tuck the lanyards inside your tops for thrill rides. If driving to a theme park, take a photo of your car with an easily identifiable landmark in the shot, such as a sign or tree, so you can easily find your car again after a long, tiring day. The car park may have been mostly empty when you arrived, but once they fill up, finding your car and remembering where you parked it could take you ages. Taking a shuttle bus to/from your hotel & theme park might be a cheaper option than theme park parking. Bring photo ID for everyone. A lot of theme park passes purchased in Australia, need to be exchanged on arrival at the theme park, with proof of nationality & ID, as per your passport. Plus you will need photo ID to purchase alcohol, regardless of your age. Either hit the theme parks first thing in the morning, or late in the afternoon, to avoid the biggest crowds and queues. For theme parks that are open until late in the evening, like Disneyland, think about visiting mid- afternoon onwards, to avoid the hottest part of the day. A lot of the queue lines are located outdoors, have very little shade or misting fans to keep you cool. A lot of the crowds also leave during the afternoon too, due to tired younger kids, and going back to their hotels early for dinner. Whenever possible, try to avoid visiting a theme park on weekends, public holidays and during school holidays, due to the additional crowds and extra lengthy waits queuing for rides, food vendors & shops. Summer periods, when the weather is better, is usually a magnet for drawing more crowds. Wear comfortable shoes – you’ll be walking heaps and standing in queues for ages, so at least make your feet comfortable. For theme parks with water rides and attractions, wear your bathers underneath your clothing & bring a towel to share. Moist towelettes are great for cooling down hot faces, and for cleaning sticky fingers and faces. As you can imagine, food, drinks and souvenirs are pricey within theme parks. Maybe bring your own refillable drink bottles, sunscreen, snacks, sunglasses, hats & camera. Be prepared to have your bags checked thoroughly by security, including handbags, prior to entering the theme parks and/or sporting venues. If possible, try to only have one person in your party carrying a backpack or bag on behalf of everyone. Security measures may include x-ray machines & wand scanners waved over your body. Try to remove all metallic items off your body prior to going through, such as jewellery, belts, glasses, sunglasses & phones from your pockets. Most theme park tickets and fast passes these days are bar coded or have QR codes on them, which are scanned when going through turnstiles, or entering in ride queues. Pre-plan your visit – look at the theme park apps, websites or maps, to work out your plan of attack, prior to arrival. Mark the attractions that are ‘must see’ and are your highest priority, and go for them first. Check the times of shows or parades to decide what you want to see, and plan everything else around those times. Carrying a highlighter to mark attractions on the map is helpful too. Download the theme parks’ free app, to see opening times, show times, wait times, restaurant availability and reservations, etc. Obviously, the use of the app relates to how well the theme parks’ wi-fi is working. For me, Universal Studios Hollywood’s wi-fi was fantastic, whereas Disneyland’s didn’t work at all. You may have good intentions to use the theme park apps to be efficient with your time, but if the wi-fi’s not working, the app is useless. Having said that, Disneyland now offers a Maxpass for an additional cost, but again, without wi-fi to use the app, it’s a waste of money. Check the height and/or age restrictions before you go, via the theme parks’ apps or websites, so you can rule out rides that are not applicable for your children, to avoid them being disappointed when you arrive there. Some thrill rides are not recommended for people with certain medical conditions, such as pregnancy, back injuries or epilepsy, etc. Read the rides’ warning signs near the entrances, or on the theme park maps for suitability. Pack a cheap poncho to protect yourself from getting drenched on wet water rides. Wet rides are a fantastic way to cool you and the kids down when the weather is hot, but the crowds for water rides are bigger then too. If you don’t have a poncho, don’t go on a water ride early in the morning, otherwise you’ll be walking around wet until the weather warms up. Also, bring a ziplock or snaplock plastic bag to protect your mobile phones (or cell phones as the Americans call them), from rides affected by water. Set a budget and agree on how much the kids can spend (or not) at those tempting theme-park gift shops before you arrive. For older children, an allowance for the day to cover extras such as soft drinks, snacks, ice cream, and souvenirs helps to avoid arguments, and teaches responsibility. Discuss with your kids the plan of what to do in case they get lost. Do they stand still where they are? Do they backtrack to where they last saw you? Do they get to a pre-designated meeting spot? Do they ask a theme park employee or security guard for help? Mobile phone batteries can go flat, so it’s important to have a plan B, when you can’t text or call each other. Pre-assign and designate a meeting spot to meet up with your travelling party at a certain time, or if you get lost. Write your name and phone number on an ID band around their wrist, or put those details, and/or your business card, in a lanyard pouch around their necks, or tucked into their sock. Worse-case scenario, literally write your contact details on their skin, onto their wrist. If the kids get lost, get them to ask a helpful adult, such as the police, security guard, theme park employee in uniform or shopkeeper, to call you. Most people walk the theme park circuit in a clockwise direction, from the main entrance. Walk in an anti-clockwise direction to reduce the crowds and wait times for rides, or start at the back of the park, and work your way towards the front. If you are happy to miss parades, fireworks and shows when these are on, these are the best times to go on rides, when most of the crowds are distracted, and are elsewhere. Disneyland provides a free ‘fastpass’ service for their more popular rides, which gives you a pre-allocated hour timeframe, for you to return to the ride, go through the ‘fastpass’ entrance queue, and bypass the long queues to virtually get on the ride straightaway. It ‘fast tracks’ you, when you return to take the ride, bypassing the normal long queue. A sign showing the approximate fast pass return ride timeframe can be found at the ride’s entrance. Then you can go off and do something else within Disneyland, until your allocated time, when you can return to do the ride, bypassing the long queue. You can only get one fast pass, from a ticket kiosk near the ride’s entrance, at a time, until you are within 30 minutes of your allocated fast pass ride time, before it will let you get another fast pass for another same or different ride. This can be frustrating, because you have to walk around the whole Disneyland theme park, to find all of the individual fast pass ticket kiosks for the rides that you want to do – there are no centralised ticket kiosk/s for all of the rides located in one or more places , where you could pick and choose which fast pass ride you want to do, without having to walk all over the park, and through the crowds repeatedly, to get them. A lot of other theme parks, like Universal Studios, offer a similar system, but it’s either an ‘Express Pass’ or a ‘VIP Pass’, depending on which ticket type you purchase. If you are happy to be separated from your group, lining up in the queue for ‘single riders’ or ‘solo riders’ will usually get you onto the theme park rides a lot quicker, and you’d probably do multiple rides before the longer queue even reaches the front. Take your time and pace yourself, particularly if you’re visiting a theme park with younger kids, and know that you won’t be able to see and do everything. Make time for breaks during the day. Either head back to the hotel for a nap, or find an indoor attraction where you can cool off in the shade and air-conditioning. Multiple day entry tickets are great for this very reason, to allow flexibility and enough time to see and do everything, at your own pace. If you are visiting a theme park in a foreign country, check that the show or performance you are queueing up to see will be in English. You can tell this via an icon on the theme park map, or check with the theme park information desk. A charged powerbank for your phone maybe a good idea, as you’ll be taking plenty of photos on your phone, and looking up the theme park’s app repeatedly, using up your battery. Try to remove all loose items from your body and pockets prior to going on thrill rides, such as sunglasses and coins. Tuck your lanyards inside your tops. Some thrill rides have pockets to store your mobile phones and loose items, attached to your carriage or seat. Most theme parks have lockers available for a fee, to store your belongings. Most theme parks have a designated area to ‘park’ prams and strollers. Just remember what yours looks like, and as silly as it sounds, secure a baggage ID tag to it. Hold off buying souvenirs, showbags and shopping until near the end of your visit, otherwise you’ll have to carry them around with you the whole day, as well as get someone to mind them whilst you go on the rides. Plus, I’ve seen many strollers tip backwards with the toddler still in it, due to the extra weight of shopping being hung from the handles. But if you see something you just have to have, see it, like it, and buy it, because you won’t see it, or be able to buy it, anywhere else. Selfie sticks are banned in all Disneyland parks. Having said that, be prepared for people to hold up their smartphones and cameras in your line of view, particularly during the parades. If you have an umbrella up to protect you from the rain or sun, you will be asked to put it down by security, once the parade moves along. Consider staying at a theme park hotel for additional benefits, such as earlier theme park entry hours before the general public, flexibility to come and go during the day due to the close proximity, access to restaurants, character dining, etc. You may even get a view of the fireworks show from your hotel room. These are an additional cost, are quite pricey, but little kids, and big kids, like myself, had a lot of fun meeting the Disney characters. They do add value to your overall Disney holiday experience. This is a good option to guarantee meeting Disney characters, and saves you and the kids much wasted time from having to queue up for lengthy wait times, often in the heat, to meet and greet your favourite Disney characters within the parks, along with everyone else. 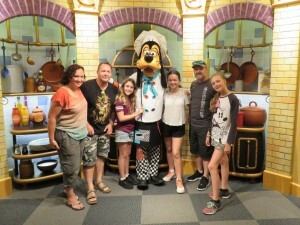 These character dining reservations must be pre-booked up to 60 days prior to guarantee availability. And Disney professional photographers are quite happy to take your own camera or smartphone off you, to take photos of you with the character photos…you don’t have to buy Disney’s professional photos if you don’t want to. Would your business benefit from an extra pair of hands?